Power Point for Expeditionary Learning Module 1 Unit 2 Lesson 9. 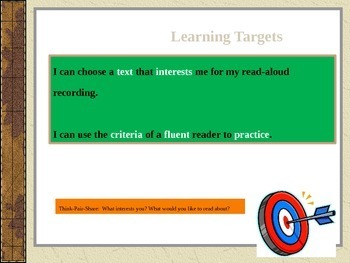 This lesson is built around students becoming better fluent readers. 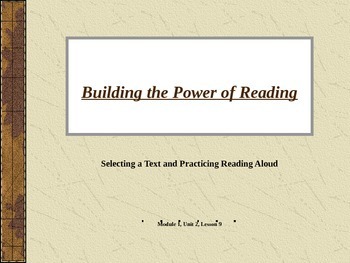 Students will work for several days to practice reading out-loud both with partners and by themselves. Students will be reading a variety of materials including text excerpts from Thank You, Mr. Falker, poems, and texts on their level. 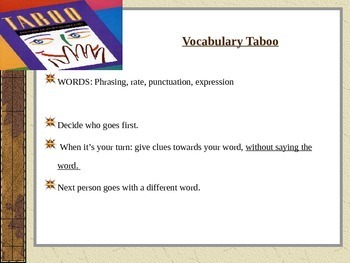 This is part of a set of lessons designed to help increase fluency. The set includes lessons: 8-10.